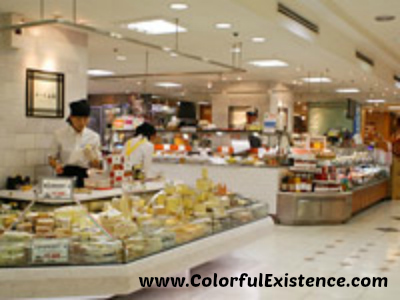 In Japanese department stores, the basement floor is a foodstuff market area. These areas go by the nickname “Depachika” – a combination of “depato”, meaning department store, and “chika”, meaning basement. The “Depachika” of Japan are great places to find food especially for take-out. The selections in these markets can be broken up into two categories: an area featuring everyday delicatessen style items and an area featuring snacks and treats. Vegetables and fish are also sold at the perishable goods market area. With a diverse array of delicatessen shop spaces carrying Japanese, Western, and Chinese food, these “Depachika” areas are almost like outdoor markets. The fragrance of freshly baked bread wafts from the bakery shop, and the sound of Gyoza (fried dumplings) can be heard from another section. 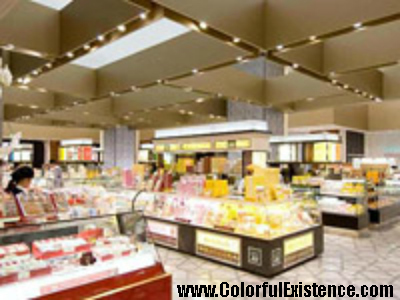 There is so much variety available, it seems like there is nothing that cannot be bought here. 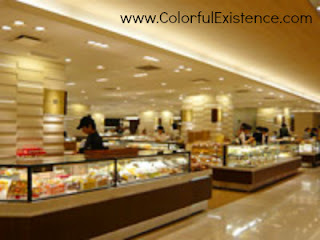 And some shops also offer food samples. If you are offered, feel free to try a bite. 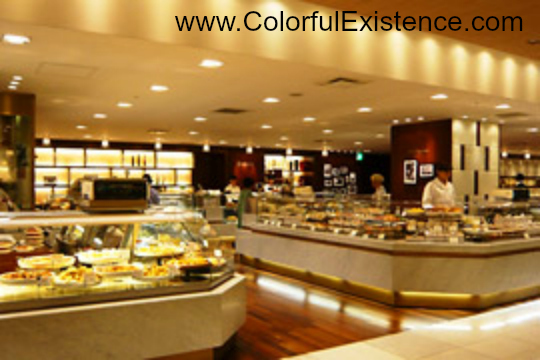 Enjoy top level flavors casually at shops, with eat-in areas. 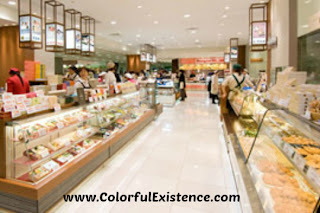 Many different kinds of “Bento are available for purchase here as well. You can even find Bento and Sushi take-out from the kind of Japanese restaurants selected by Michelin. There are also shops that sell foods prized by weight. 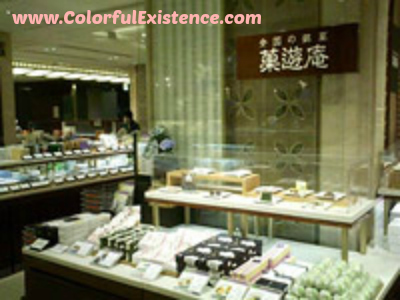 Showcases of famous brand western and Japanese treats shops line the snack and treats area, and the beautiful colors and amount of diversity are absolutely amazing. Seasonal events, like the lineup of chocolate shops for Valentine’s Day, are really interesting and well worth a look! Many of these “Depachika” areas are connected directly to subway stations, so they are great places to go shopping even on rainy days. They are always bustling with shoppers, but lunch time and evenings are very crowded and especially during late hours, just before the mall closes. That is because many Japanese would pop by on the way back from work and the items can be sold for less then 50% of the original price! I hope this post helps, especially for visitors of japan. St Mary’s Cathedral Festival Season! I’m sorry the Dango wasn’t to your liking! Usually, Dango tastes best when bought at temporary street stalls, usually held during festive seasons! Great great blog. I propose to follow each other. If you agree to let me know in a comment on my blog! I would love to!! It would be my pleasure to do so!! Thanks for stopping by and your kind compliments! I’m happy you like this post. I also took a look at your blog and happened to like it very much! I love doing that too! Especially when i have to get quick take-outs on my way home! And yes, though it’s just a ‘supermart’; it looks more like a food display showcase. Thank you for stopping by, and the pleasure’s all mine! This post remembered me to the LIVING market in my train station when I was living in Japan. =D All jokes aside, I’m really happy and moved that you even took the time to stop by my blog & also, to be kind enough to leave a comment. P.S. Where were you staying previously, in Japan? I was staying in Tanashi, Nishitokyo. Thanks for follow back, hope you can enjoy also with my blog and weird tweets, hahaha. You doin’ good so far, I hope? Definitely, it would be strange if they didn’t have one! Is there a favorite food item you always get, when you visit the Depachika? That’s very sweet of you, I really appreciate it! I’ve visited your blog also and i like it too!! Oh looks like a nice place for buy food! I love it the japanese food! You’re most welcome, I’m glad you enjoyed reading. Thank you for liking Japanese food too! Do visit a Depachika, should you visit Japan in future!